When deciding to breed sugar gliders, you need to know how to properly pair them. 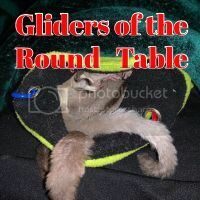 Whether you plan to be a hobby breeder with only one or two pairs of gliders, or you plan to have several pairs, you should have a basic knowledge of genetics, and have had a minimum of one to two years of experience raising sugar gliders before you begin a breeding program. When selecting your breeding pairs, there are a few tools that can be used to assist you in this process. You must fully understand how to use these tools and be able to explain this process to others. Many times the joeys you produce will be sold as breeding gliders. It then becomes your responsibility to educate those new owners on the proper selection process to ensure the improvement of the species. Understanding genetics includes knowing and being able to explain what a "het" is, as well as knowing how to calculate the percentage het of the offspring. You should also know, before you obtain your breeding pairs, how to determine what color the offspring the parents have the potential of producing. Again, you'll need to have this knowledge for the new owners of your joeys so they understand as well. Coefficient of Inbreeding (COI) is the possibility, in a percentage, the offspring has a pair of alleles that are identical by descent from a common ancestor. Breeders strive for a low to 0% COI. Understanding the COI will reduce the potential of inbreeding and potential genetic problems. How high of a COI is too high? That is going to depend on who you speak to. At this point, less than 2% is generally accepted. Just realize that the higher the number, the higher the risk in a percentage, of inbreeding issues, both physical and mental. To continue to improve the species, you will typically want to have the potential offspring's COI to be lower than that of the parents. When you find a pair of gliders you are interested in pairing together, set them up in the on-line database to see what the COI of their offspring will be. If it is above the recommended percentage, you may want to reconsider the pairing. But if it is a lower number that you are comfortable with, go to the second step. For this step, it may be easier to have a print out of both gliders' lineage charts. 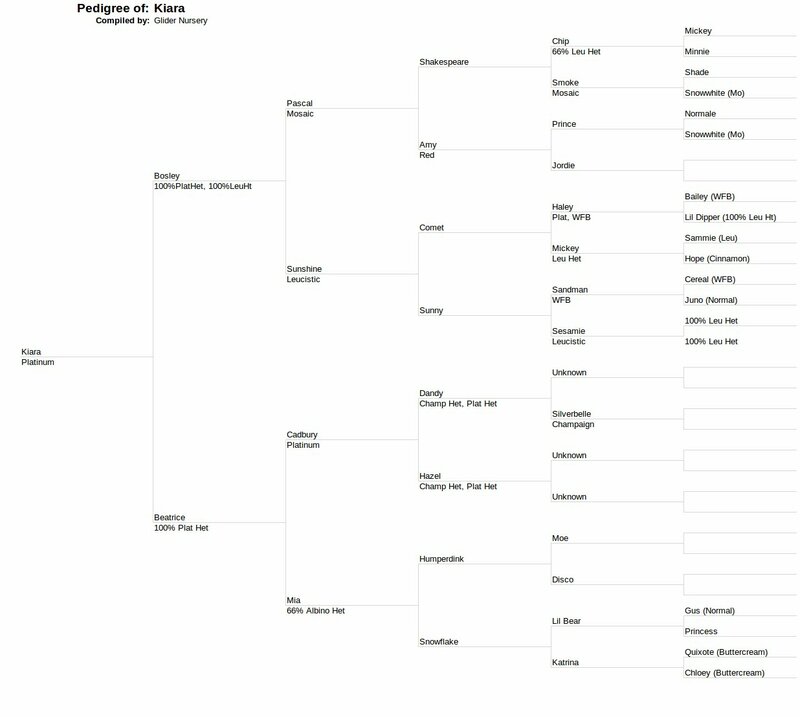 Find the closest common ancestor and plug the info into the kinship chart (chart is from Jen Bender). 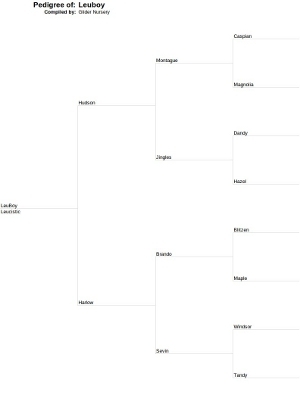 Once you fill this in, you will see how they are related and if they are considered too closely related, or not. The third step is to discuss the potential pairing with both breeders you plan to get the joeys from. They should also be able to assist you to ensure a genetically compatible pair. If all three (COI, Kinship Chart, and breeders) say it is a good pairing, then you are good! PLEASE ~ before anyone utilizes this information and begins a breeding program, make sure you fully understand it. Breeding is not just about putting names into a computer or on a chart, it is about maintaining and improving the genetics. Other things still come into consideration, such as temperament, personality, and health. So this process is not the "begin all- end all" process of selecting a mate. That is why talking to the breeders is an essential part of this process. And if you, as a new breeder, are not ready or able to have these discussions with the new owners of your joeys, then please reconsider breeding until you have researched further and understand more completely. Here is a perfect example of why you need to use all tools at your disposal before purchasing a breeding pair. Had this potential pair been put together, this would have been a situation of inbreeding. When these joeys are put into the on-line glider database to determine their COI, it is found to be 2.5213%. At first glance, this appears to be a great pairing, which is why looking at COI alone is not sufficient. 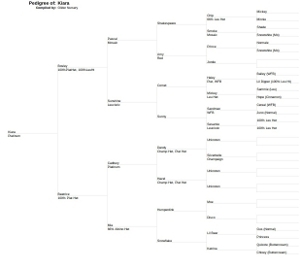 Next, take the above lineage and find the closest common ancestor. This is found to be either Dandy or Hazel; for this example Dandy is used. Place them into the lineage chart, starting with Dandy and working forward to the joey you plan to use. Go across the top for one, then down the side with the other. See where their names meet to determine their relationship. When placed into the kinship chart, the joeys are determined to be second cousins. 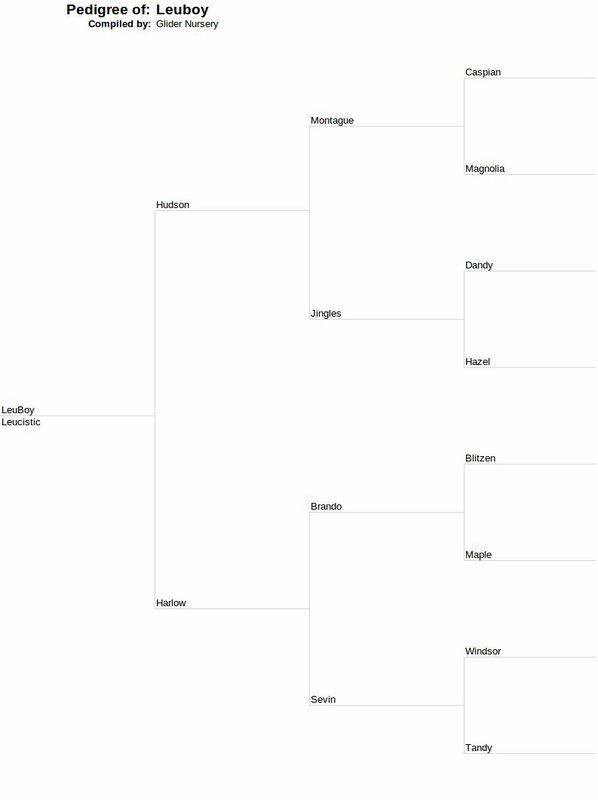 This is considered line breeding (inbreeding) and NOT a good thing! The COI was good, but they are too closely related to consider them for breeding together. Finally, the breeders of these two joeys together determined this to NOT be a good pairing. Without a basic knowledge of genetics and the use of both tools, this could have ended up as an unfortunate pairing with the offspring left to suffer. Lineage of gliders provided by GoGoGliders and Glider Nursery. Inbreeding Coefficient calculated by using the on-line database at www.thepetglider.com. 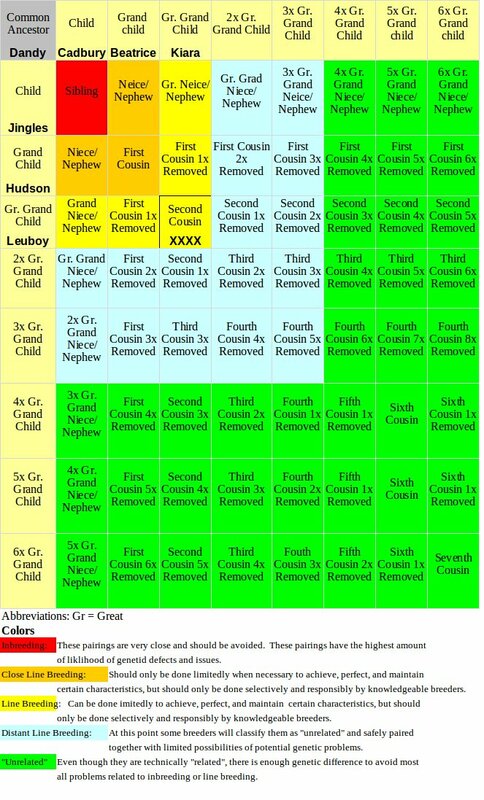 The kinship chart is from www.petsugargliders.com.